March: I still have to post the blog from the (behind the scenes) 4-week intensive treatment in USA. The therapy was amazing, it was worth all the hurdles to get there daily. But boy did we have a lot of challenges, more on that to follow. Bring on more treatment opportunities in Australia! So many families need it. April: There are certain peak periods in the special needs journey, April was one of them! Moments when your heart aches with every breath, as you watch your child endure some difficult times. 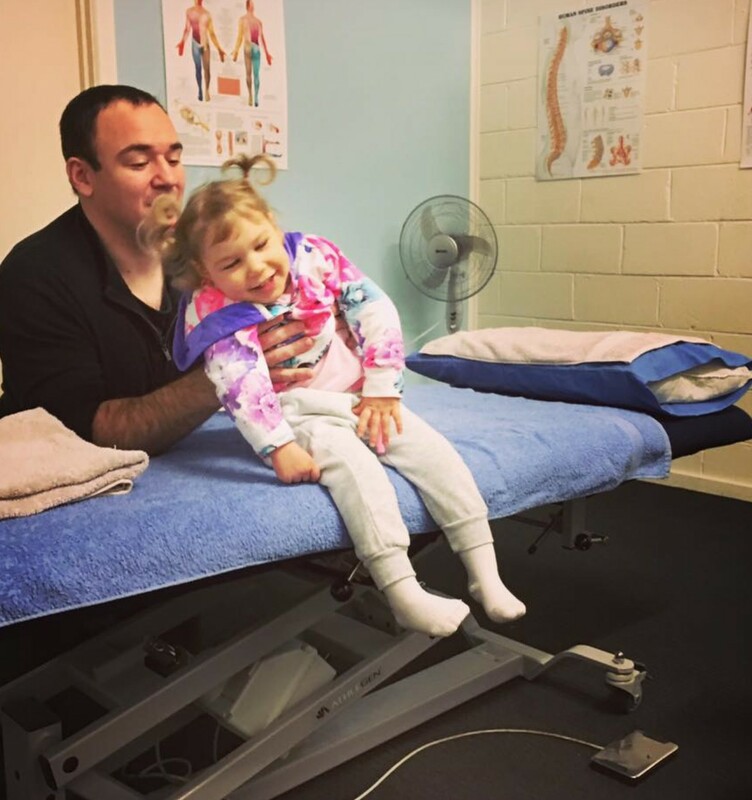 This part of the journey I am still trying to understand, I have gained much insight and depth on the bigger picture of raising a child with extensive medial needs and physical limitations, but the suffering – that perplexes every fibre of my being. Why, why on earth do these little souls have to endure so much pain? I’m not going to sugar coat it – the hip operation and following weeks were harrowing! From the painful screams that Chiara had for hours after the operation, that continued on and off for the entire 6 weeks, where her legs were bound in a hip spika cast. The sleepless nights, which turned into hazy days. Mauro and I were beyond exhausted, physically and emotionally. 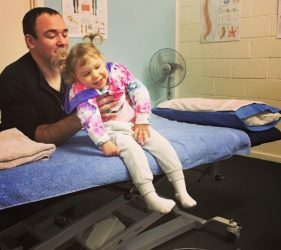 Let alone trying to manage her high cerebral palsy tone, and the fact that she is unable to sit, made it so difficult to manage her physically. Chiara’s body would flip backwards or forwards suddenly, and the angle of hip cast made it tricky to hold her. Then getting her in and out of our house, well that was just as crazy. Then car-travel, well I’m not going to even go there! Anyone close to us who has travelled in the car with us (and Chiara) will know it’s not easy! Then add a heavy uncomfortable limiting cast to the mix, well I was just about done! Patience was tested and my feeling of depletion was on the rise! Then getting out of the house (cabin fever!! ), well that was like the cherry on top, without the dessert, it was just a stressful ball of stress! Alas, through the darkness we find our way to the light, sometimes fight our way to the light! 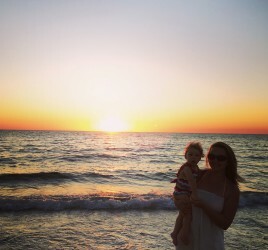 Because parenting this way is hard, it’s different, it’s amazing, it’s exhausting, it’s inspiring – it’s a mixed bag! And you know what, Mauro and I are human we have our tough days. Sleep is still crazy, Chiara can wake every 2 hours screaming. When Chiara has an unsettled night, we all do, including Grace. So we try and manage as best we can, but imagine how much your patience gets tested when you are so tired… car travel is still not an easy feat for Chiara, so there are stress triggers everywhere and in every moment at times. The other day I had a catch up with some girlfriends that I used to go to school with, bless my Kilmaire soul sisters, love these girls so much. But in order for me to meet them and bring Chiara, Maur had to drop me off. Neither of us can travel with Chiara alone, more than 20 minutes without her body going into full extension and her screaming for dear life. We have yet to crack the code on this one, Mauro had some good trips to a local Feldenkrais solo, but now he can’t even go there unless I’m in the car to help manage her while he drives or vice versa. Sometimes, it’s just these little things that feel like massive things on the back of no sleep.. c’mom universe we just want to be able to drive from A to B with our child. I’d love love love, to be able to jump in the car and drive to my parents home, to drop into friends houses, visit our cousins, take Chiara out into the world with ease – but three years on and it’s still no closer to happening. For some bizarre reason her body practically seizes up in the car seat. She can’t breathe properly and every small bump her startle reflex kicks in, making it a both a frightening and physically debilitating. We finally gave in and have medicated with Baclofen to address her strong tone, and take advice from the doctors that this will help car travel, but no change yet. If ANYONE reading this knows any solution, please please please let us know. Mauro and I buffer it as best we can together, but it’s very challenging for us both. Anyway I digress (must of needed the venting space!) back to the hip spika cast time. We did try and find the joy where possible, and the belly laugh moments (these are what get us through I swear!). Like the time Mauro walked into the café holding Chiara (in hip spika cast) and all of a sudden knocked a coffee out of a woman’s hands – because the cast stuck out so wide! Oooops, hard to judge when you’re carrying a wide load. Or the time Grace came running down the hall and bumped into the cast or the time we had to change one of the most explosive nappies whilst trying to keep the cast clean. Well every nappy change really was an interesting challenge! Or the times we tried to bath half of he body, yes that’s right no bath for 6 weeks or shower so we had to sponge down her body over the kitchen sink many times. Then sleep, I’m not going to talk about it! But I look back on those 6 weeks and I think, man we did it! More importantly though, Chiara you did it!! I cannot really explain what it feels like getting medical interventions, like hip operations when the end result is still kind of the same. As in, when we leave the hospital, Chiara still has PMG, Microcephaly, Quadriplegia Cerebral Palsy. Walking the corridors at night after a long stay the the hospital, is when it seems to hit me most. The ground floor at RCH is empty, all the café’s are closed, and the only movement I notice is coming from the fish tank. I see the various sizes and colours of fish swim peacefully around the tank. I walk out of the hospital to get the car and load all our things into the boot, deja vu sets in as it’s around the 300th visit to the RCH. Then it hits me, out of nowhere and I cry and cry and cry. Literally sobbing with a natural and normal Mother’s worry for her child. I am still back and forth through the RCH doors and although we are a lot more stronger, wiser and braver – my heart continues to weep for the losses. Yet, we do move forward and that is the most important thing. 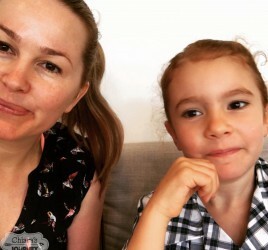 July: Aunty Bec has been sharing Chiara’s Journey at the top of the mountain. 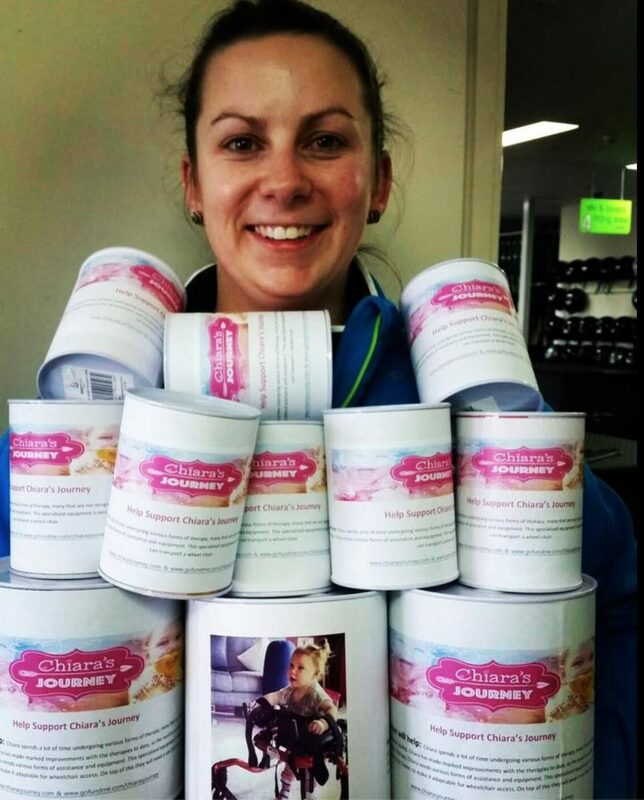 We are so proud and thankful to have Chiara’s Journey appearing all over the slopes, and wow what an achievement by Bec – raising over $3,500 for Chiara! Again, a blog post about this is on the way! We will show you the awesome special needs equipment that we were able to purchase with the raised funds. Thank you Mount Hotham Ski Resort and to all those who supported Bec, to help Chiara! Love you so much, can’t wait of the time Chiara hits the slopes with her Aunties Bec & Sharon. Thank you again everyone who helped make this happen. 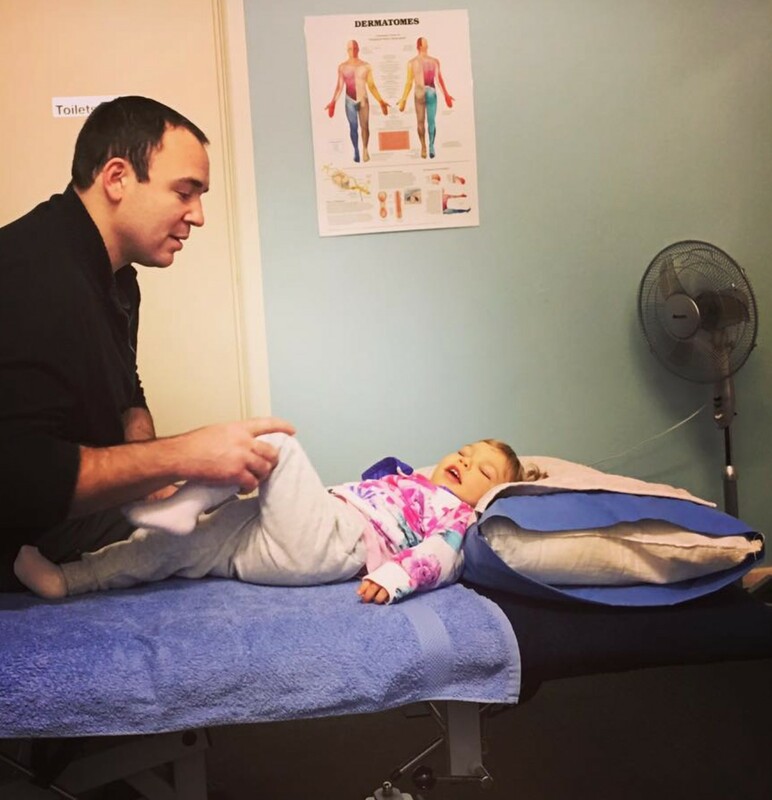 We have some amazing new equipment that is helping Chiara, her new squiggles standing frame. She is supposed to get a three hours in the standing frame across the day, 7 days a week to help with her hip. We’ve also been busy with Feldenkrais, Hydro, Physiotherapy and Osteopathy. Our next steps, are looking onto QRI. 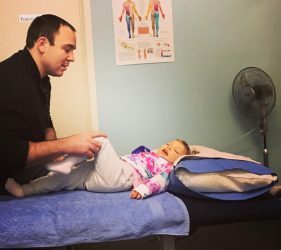 Mauro is looking into some intensive opportunities with Dr Masgutova, both of these therapies have been highly recommended by various people and apparently has excellent results for children with Cerebral Palsy. We also had a trial with EyeGaze software, OMG amazing! Chiara picked it up so well. I cannot wait to learn how to communicate with her more. At the moment, all we have is deep intuition and Chiara’s eye contact and emotions gauge what she wants. Apart from that I’m ¾ of the way through the Beautiful You Life Coaching course, which is incredible. It’s been a bit of a juggle getting back to my studies, but this course is so incredible and inspiring that I’ve been listening to podcasts at 3am, and in hospital waiting rooms and drives to therapy appointments. Aside from the time when Chiara is with her carer, I try study where I can. I’ve learnt to manage and use my time very wisely since becoming a special needs Mama. I have absolutely found my tribe at BYCA! A blog post coming soon about this too! I also won a scholarship for the Women’s Business School with AusMumPreneur, again trying to keep up with the work load. Amazing though, love these inspiring women and support! Here is Julie Parker, CEO of the Beautiful You Coaching Academy at the recent Inspiration Day in Melbourne. Amazing woman on so many levels. More on this to come! Lastly, this has been our theme song hello from the other side. We have been listening to Adele’s song on repeat in the car, it’s the ice-breaker when the car rides get intense. Grace busts out the lyrics loud and we all sing along…. You gotta keep singing.. right?